Shakespeare’s “King Richard the 2nd. Broadcast live on January 15th at 7 pm. Teresa May isn’t the first English ruler to suffer nightmares because of an “Irish Problem” – on October 2nd, 1394, King Richard the 2nd landed in Waterford with 10,000 soldiers to chastise some ‘recalcitrant Irish Lords’. His nine months’ progress was deemed a success; warlords from all over Ireland submitted to him in person. Unfortunately (for Richard), in June 1398, Richard Mortimer, the King’s lieutenant, was killed by the Gaelic Irish near Carlow. The King wasn’t wise enough to stay away from our ‘troublesome land’ and in the following year he returned. It was one of his last great mistakes. His army was weakened by ambushes while the drain on the finances back home was extremely unpopular. He rushed home to quell a rebellion but Richard Bolingbroke (who succeeded him as King Henry 4th) soon deprived him of his freedom, his crown and his life. If Richard had stayed at home, we would have no “King Henry the 4th, Part One”, no Harry Hotspur or Prince Hal – countless Inter Cert students would have shouted “Halleluiah to that”! But then, we wouldn’t have Falstaff or Mistress Quickly either from the Great Dramatist. And no Henry the 8th, no Cromwell in our history books. Ah, what might have been!Richard the 2nd is a play about the dethronement of a reigning King, how power corrupts, about the downfall of the moral order, about treachery and of how ruling elites exploit their inferiors – in fact, a play for our times! So subversive and dangerous was it considered to be that in every edition published during the reign of Elizabeth 1, the great abdication scene, where Richard cedes the throne to his cousin Bolingbroke, was omitted – the Queen was the subject of many conspiracies and she never felt secure on the throne. The plot develops on the following line:- Richard, a weak monarch, as much poet and dreamer as he is King, is faced by an opportunistic rival. Henry Bolingbroke, Duke of Hereford and cousin to the King, accuses Thomas Mowbray of murdering the King’s uncle. The King sentences Mowbray to exile for life and Bolingbroke to six years of banishment. When John of Gaunt, Duke of Lancaster and uncle of Bolingbroke, dies, Richard seizes Gaunt’s estates – to pay for his upcoming Irish campaign. This illegal act gained him powerful enemies, especially the Earl of Northumberland, father of Harry Hotspur. While Richard is in Ireland, Bolingbroke lands in Ravenspurgh, Yorkshire, in defiance of his banishment, and marches to Berkeley Castle. In a challenge to the King, Bolingbroke executes two of the latter’s great favourites, Bushy and Green. The populace sides with Bolingbroke and when Richard lands in Wales, he is imprisoned at Flint Castle. 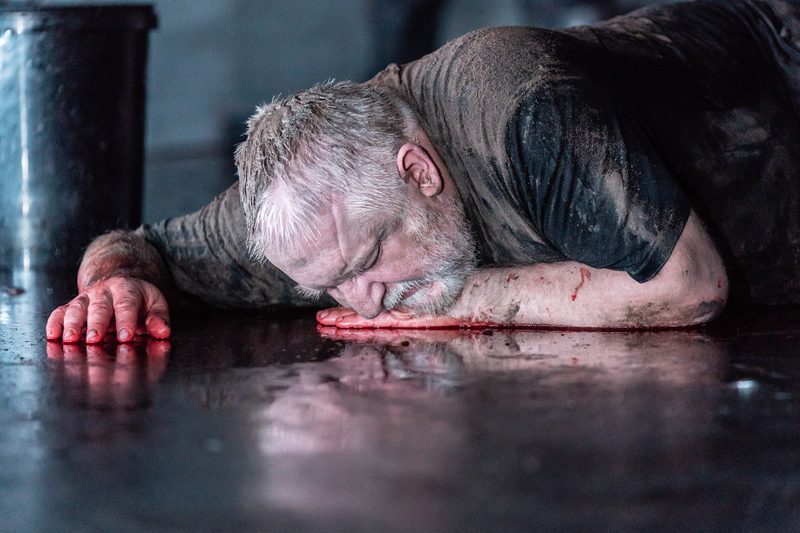 The rest is history ….I look forward to seeing Simon Russell Beale’s portrayal of Richard (a part that the late John Gielgud made his own), one of the least macho of English monarchs; Fiona Shaw has played the role in the National Theatre. This, the most poetic of the Bard’s plays, is also one of the most frequently produced. What a great opportunity to see one of Shakespeare’s most interesting plays with a very strong cast. Well worth a visit, methinks! Pokémon the Movie: The Power of Us! André Rieu 2019 Maastricht Concert: Shall We Dance?